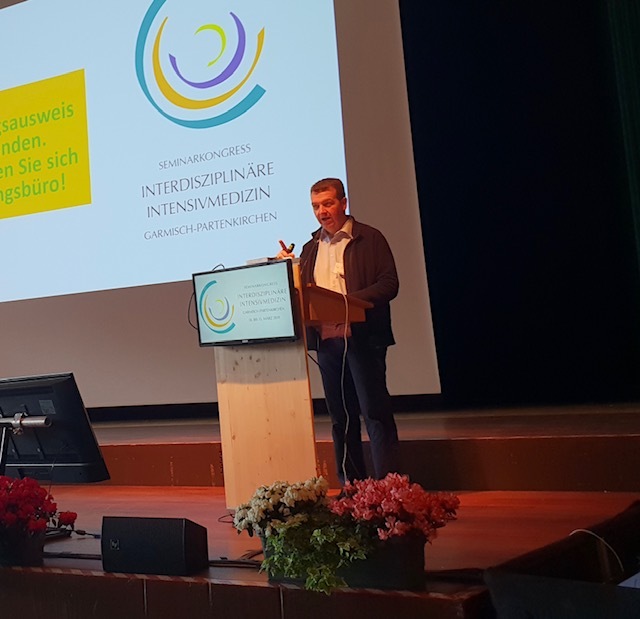 Dr. Rudy Noppens recently attended the biannual SEMINARKONGRESS Interdisciplinary Intensive Care Medicine conference in Garmisch-Partenkirchen, Germany. The conference aims to provide attendees with an overview of current treatment concepts and new research aspects in the intensive care area. However, being interdisciplinarity, it also offers the chance that attendees - in the interest of our patients - receive training in the areas of intensive care medicine that are not part of their working day's field of activity. Airway Management: What would you have done? FLOW-Controlled Ventilation (FCV): Just another new ventilation mode?! The hands-on workshop included: video laryngoscopy (different types of blades), flexible endoscopic intubation, supraglottic airways, secondary endoscopic intubation via SGA, cricothyrotomy and percutaneous dilatational tracheostomy, flow-controlled ventilation using EVONE - demonstration with hands-on exercises. Left to right: Dr. Tim Piepho (Trier, Germany), Dr. Rudy Noppens and Dr. Dietmar Enk (Münster, Germany). 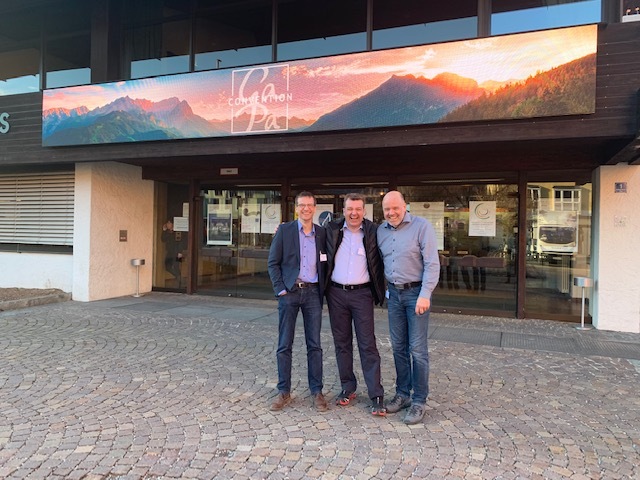 Dr. Piepho is the lead of the German Airway Management Guidelines and Dr. Enk is the inventor of two devices for flow ventilation: Ventrain and Evone.